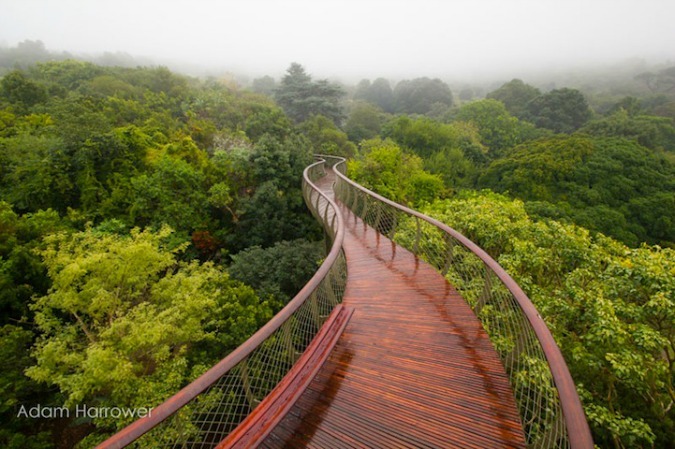 This surreal walkway recently installed in Cape Town, South Africa, creates a meandering, aerial path that allows visitors to stroll through the treetops. 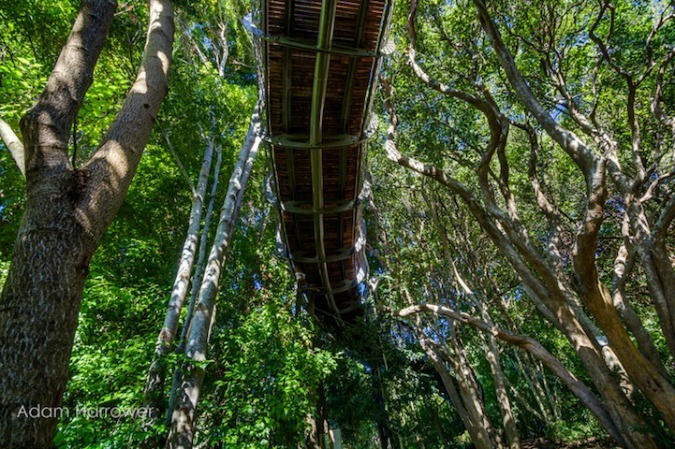 The steel-and-pinewood Kirstenbosch Centenary Tree Canopy Walkway begins on the forest floor, gradually sloping upward and eventually elevating guests to a spectacular vantage point above the canopy. 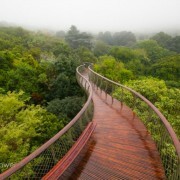 From the heights, guests can witness the South African forest in all its glory — and in all kinds of weather. The snaking bridge, inspired by the shape of a snake skeleton, measures 130 meters long. By carefully hoisting the prefabricated steel beams over the canopy, the builders were able to give people an amazing new way to appreciate the forest while causing minimal disturbance to the natural environment. (source).